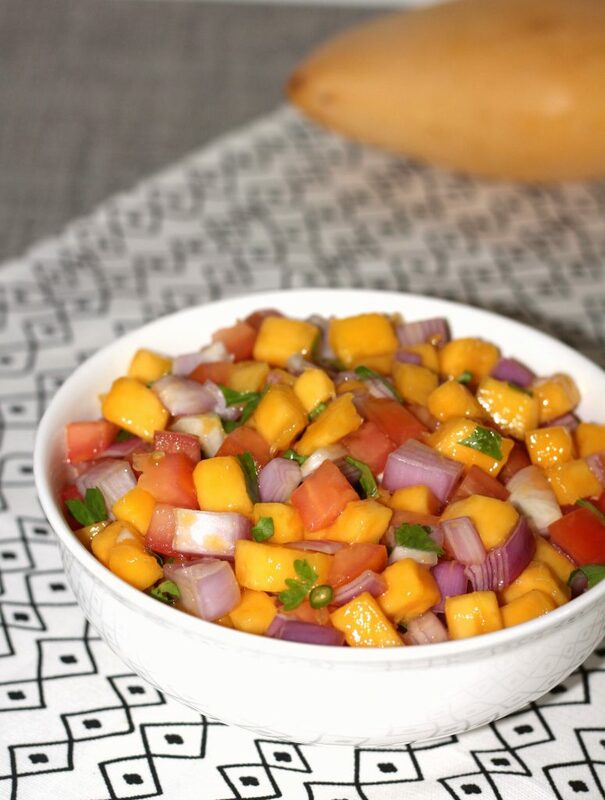 Mango tomato salsa is an easy to make refreshing salad. It is sweet, tangy and little spicy. It works well as a topping for grilled chicken or prawns. Mix mango, tomato, onion, green chilli, coriander leaf and lime juice in a bowl. Season with pepper and salt. Let it sit for 10 minutes and serve.